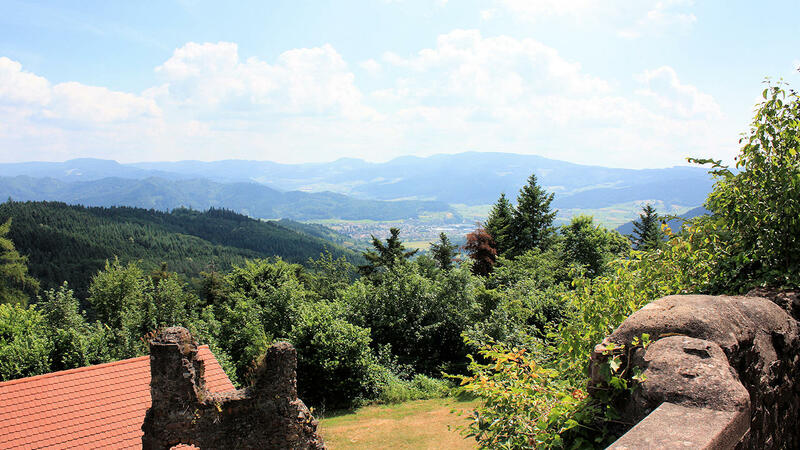 The ruins of the castle on Schönberg hill can be seen from far and wide and offer magnificent views in every imaginable direction from above. The short walk (approx. 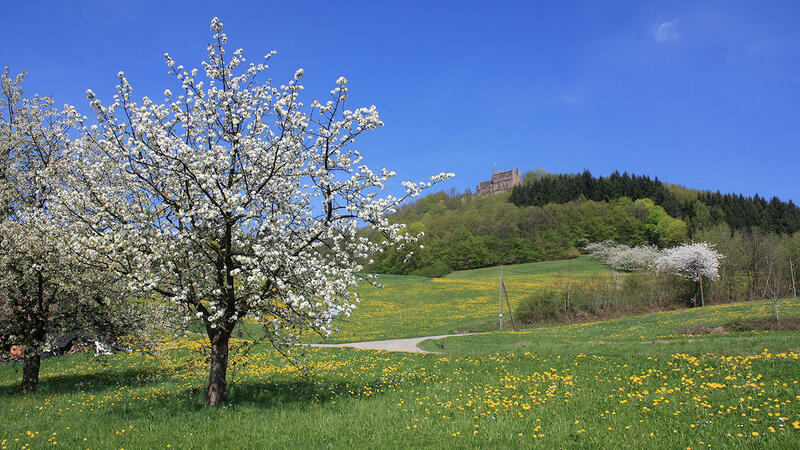 45 min) to the castle ruins from the parking area for hikers at the top of the pass between Biberach and Seelbach is therefore well worthwhile on this account alone. The castle, of which the approx. 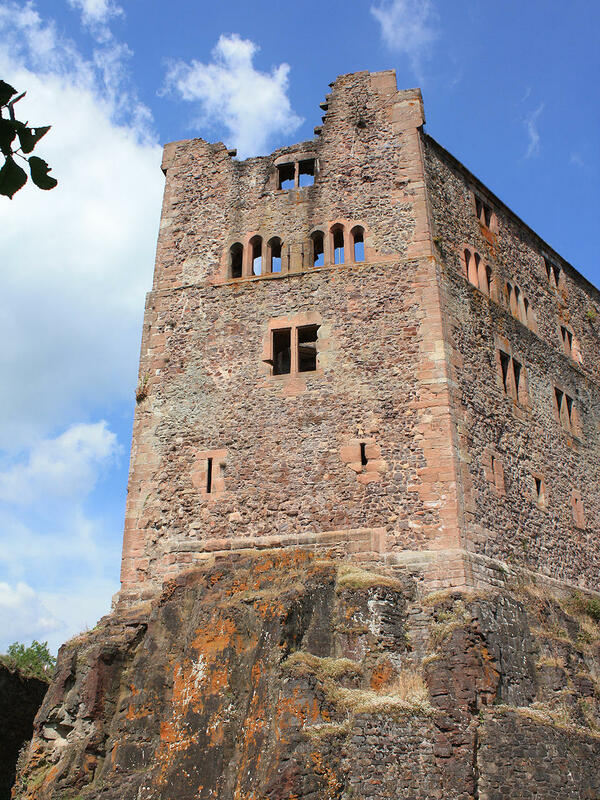 10 m high outer walls (lower castle) and the main building (upper castle) have been preserved, was built around 1260 as the family seat of the Lords of Geroldseck. After an eventful history, it was destroyed by French soldiers in 1688. 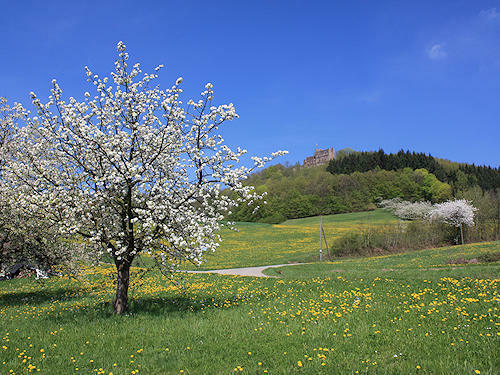 Nowadays the society for the preservation of the ruins of Castle Hohengeroldseck sees to it that they do not fall into further decay. 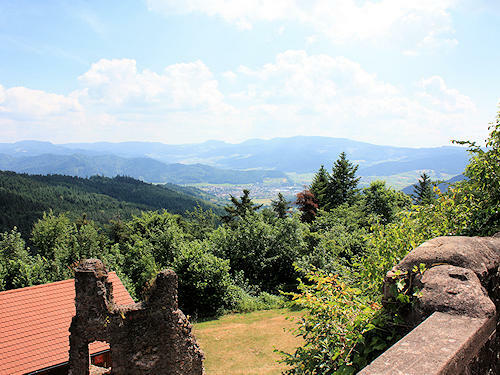 In addition to this, the society organizes a big castle festival every September.